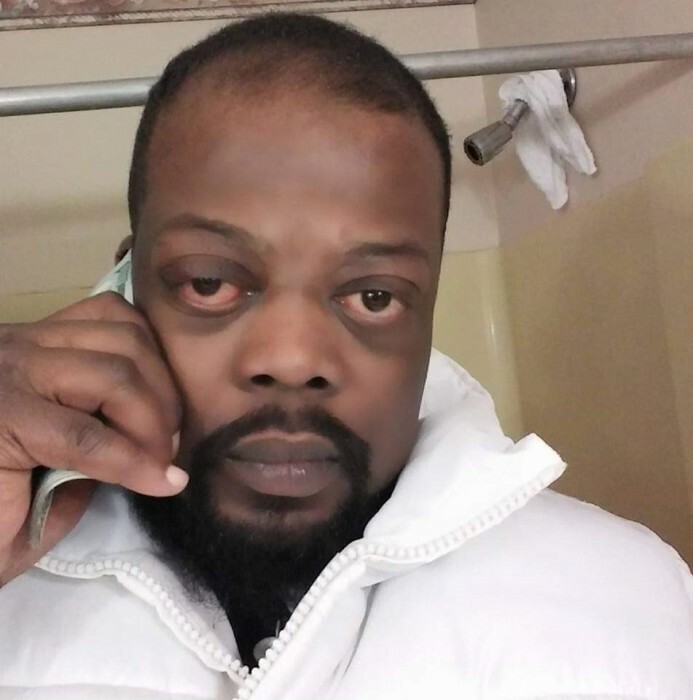 Drake Sanford, 43 of Benton Harbor departed this life April 10, 2019 at Spectrum Health Lakeland, St. Joseph. Drake was born July 21, 1975 to Frank and Cheryl Sanford in Detroit. He lost his parents at an early age and was raised by his Aunt, Johnnie Mae and latter moved with his foster mother Queen Esther Palmer. He attended Benton Harbor Area Schools and loved spending time with his family. Drake was known to be a hard worker and was employed with New Products. Drake leaves to cherish his memory, his sisters, Elizabeth Sanford, Lacey (Gentry) Valentine, Carolyn (Andrew) Ray, Linda (Fred) Gillespie and Kathleen Palmer; brothers, Drew Sanford, Nehemiah Davis, David (Betty) Palmer and Sanchez (Tommasina) Gibson ; aunts, Alice Baker and Beatrice King; a host of nieces, nephews, aunts, uncles, cousins, family and friends. Drake was preceded in death by his patents, Fred and Cheryl Sanford; foster mom, Queen Esther Palmer; sister, Alice Palmer Blackwell; aunt, Johnnie Mae. There's still time to send flowers to the Funeral Service at the Robbins Brothers Funeral Home at 11:00 AM on April 19, 2019.